Blog — Your Blood Type Can Affect Your Diet? A few months ago I was meeting with a holistic practitioner and she mentioned that part of the reason I crave salt and could care less about sugar actually has to do with my blood type. My mind was blown!!!! My blood type has something to do with my food cravings and what I should and shouldn't eat? So I have been looking into this more and thought I would share with you guys! 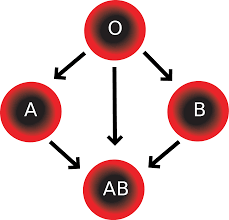 There are 4 main blood types O, A, B and AB. Not sure what your blood type is? I found out when I donated blood. Head over to your local blood blank, do a good deed and donate blood and you can find out your blood type as well. It is believed that by eating a diet based on your blood type you can actually lose weight more easily, digest food better and even have more energy!!!! So lets dive a little deeper. Then on the other hand there are people that say eating for your blood type is a bunch of hocus pocus, I won't speculate either way. I just think this information is interesting. People with Type O blood have diet that consists highly of animal proteins such as lean meat, poultry and fish. They also should eat lots of vegetables but stay light on grains, beans and dairy. In all of my reading it is very consistent that this blood type does best with a meat-free diet. They eat mostly fruits and vegetables, beans and legumes. It is also best to stick to whole grains. Type B is intersting. This blood type eats more of what is naturally found in the wilderness, such as green vegetables, eggs and more wild meats. They should limit intake on corns, wheat, lentils, tomatoes and even peanuts. People with Type AB blood do better with seafood and dairy as well as green vegetables. They should avoid things like caffeine, alcohol and cured meats. 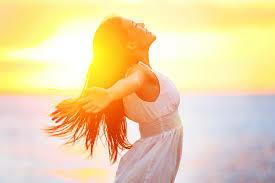 This group of people tend to be very versatile, adaptable and more spiritual-minded. Pretty interesting right? Now I am not saying go and run and throw out the foods that are not listed for your blood type but it is interesting to keep an eye on what you crave and how that matches your blood type :) I hope you learned something and found this interesting like me! You have to try these Spring Rolls!